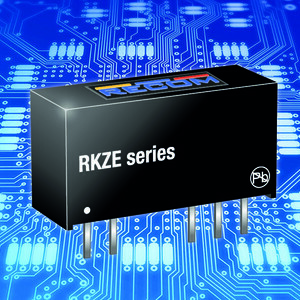 RECOM has released the RKZE series, a low-cost solution for applications that require high isolation and operate in wide temperature ranges. The PCB mount DC/DC modules are pin-compatible to RECOM’s RK and RH converter series, enabling easy power upgrade options with identical footprint. 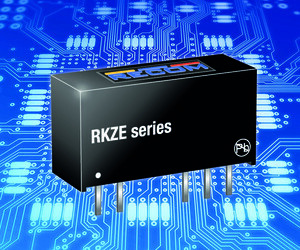 The RKZE series is a 2 W DC/DC converter in an industry-standard SIP7 case. The extended operating temperature range runs from -40 to +95°C, making these converters suitable for demanding environments in industrial, test and measurement applications as well as high-volume manufacturing. They are pin-compatible with the RK and RH converter series, offering a simple way to upgrade to a 2 W high isolation supply from 1 W. Standard isolation is 3 kVDC and the /H version is factory tested to 4 kVDC. Single or dual outputs are available with optional continuous short circuit protection (/P suffix). EN62368-1 certification and EN55032 EMC compliances make these converters ready for easy integration into any IoT and Industry 4.0 PCB design. 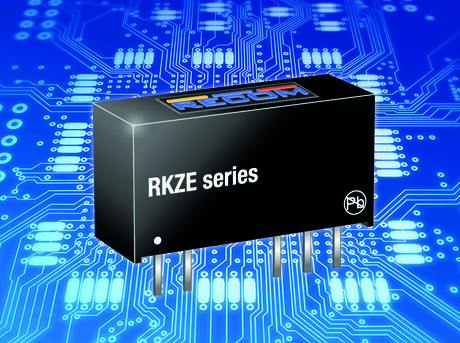 I am interested in RECOM RKZE series DC/DC converters .